David Anfam will give a talk at Piano Nobile's exhibition, Caro/Golding: In Conversation, at the British Art Fair on Thursday 20 September, starting at 4.30pm. 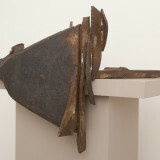 The talk will introduce the topic of post-war abstraction in Britain. 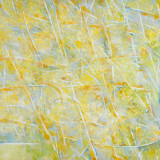 Anfam was closely acquainted with John Golding and has worked as a writer and curator in the field of Abstract Expressionism for several decades. He is currently senior consulting curator at the Clyfford Still Museum, Denver, and he curated the exhibition Abstract Expressionism at the Royal Academy in 2016.